VOSS Architects in collaboration with Corina Ebeling Architects, Waldhauser Hermann, ZPF Ingenieure and Visiotec. The task of the competition was to replace the various existing buildings of the city depot with new facilities on site and provide a functional infrastructure. A tight cost frame and staging of the construction had to be considered. 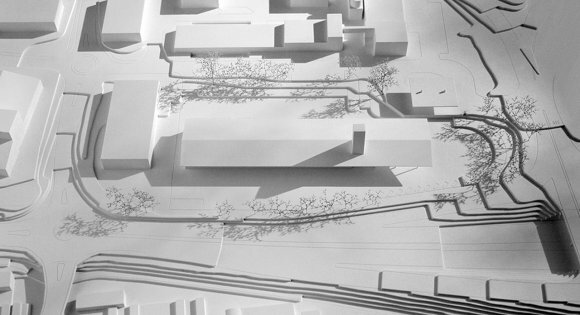 Our proposal consist of a long continuous building centred on the site. It is oriented in east west direction and the volumetric articulation provides a clear orientation to the south. The overhanging pitched roof creates generous covered spaces to all sides. A passage is provided in the middle of the western side of the building. The adjacent salt silo is integrated in the building volume and counter balances with its height the overall geometry and the length of the roof. The form of the silo and roof, as well as the choice of timber as the main structural material, references the historic industrial and agricultural buildings in the area. The simple timber facade and corrugated metal roof give the depot an appropriate expression for an industrial building. The internal spaces are arranged by their functional and thermal requirements. The two storey administration and staff facilities are located to the east and create together with the workshops a compact volume. Separate entrances organise the different functions within and give the city depot a clear address. The garage and corresponding storage rooms are centred in the building. The covered external storage spaces are situated to the west. The continuous roof joins the different functions with each other and unifies the appearance of the depot. The access to the site is provided with an entrance to the east and west. 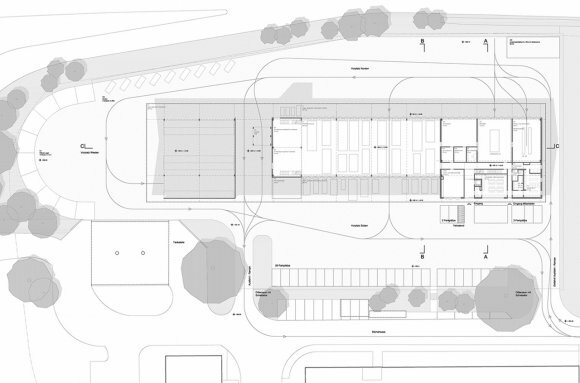 All circulation spaces are situated at the external perimeter of the proposed building and thereby allow for a maximum of the site to be utilised. The garage and storage can be accessed from two sides and give the client flexibility with their use and sequencing of the works. 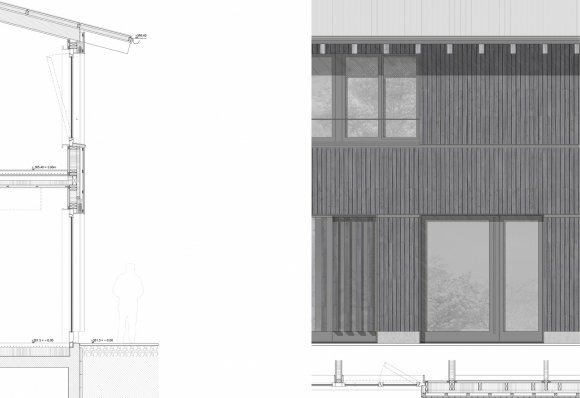 Our concept for the situation of the building on the site and the functional layout, in combination with the proposed prefabricated timber structure allows for the required staging of the building works and a cost effective sustainable construction.